Watch MK's barbering videos to learn essential techniques for barbers exclusively on MHD. MK is one of the UK’s leading barbering stylists with over 20-years experience. His salon MKHSA caters for European and Afro hair specialising in providing quality styling for classic and modern cuts including pictorial design and hair tattooing. MK has released two training DVDs, ‘Get 2 The Point’ and ‘Straight to the Point’, which give an intelligent approach to barbering with techniques delivered from a mathematical view point covering graduation, outlining, freehand clipping, clipper point cutting, flick fade, aspects of beard shaving and shaping, hair tattooing, head and face contours all on European hair. 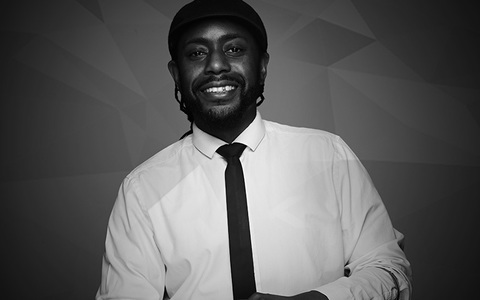 MK travels the world delivering courses, seminars, stage shows and talks and he has worked with Oswald Boateng, George Lucas and Anthony Hemmingway, as well as appearing on a wide variety of UK TV programmes. MK’s tutorial explains and demonstrates how to create a pattern in the hair. The tutorial shows how to create an initial outline, then how to fill out the design with a variety of techniques to create shading, texture and perspective. The tutorial also explains what tools you would need and how to use the tools to create your design. MK’s barbering tutorial demonstrates a basic pattern featuring pointers on blade control and stability, clippers handling and blade direction, bone structure, outlines and detailing. MK’s barbering tutorial demonstrates a tapered beard with fading, featuring pointers on head inclination, profile shape, clipper guards and blending from short to long lengths. MK’s barbering tutorial demonstrates a partial beard design incorporating a chinstrap and lip-line moustache.